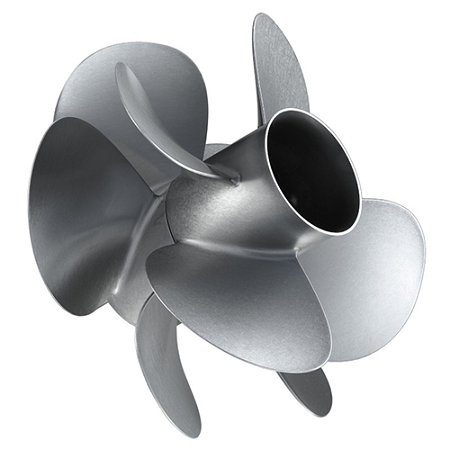 A large diameter 5 blade forward propeller and a smaller diameter 4 blade aft propeller provides outstanding acceleration and boat control. These props come in a tough matte finish. Additional blade area vs. Z series props is an excellent fit for higher horsepower Zeus applications. We buy direct and work closely with our supplier Mercury Marine Racing.